Skate wheel pallet flow may be an economical gravity flow solution but it’s no lightweight… not at Mallard anyway. 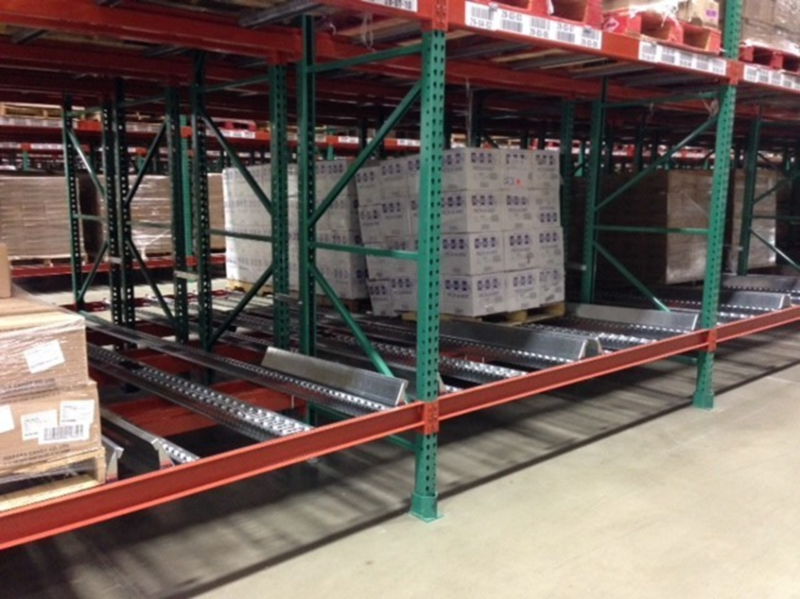 Our Steel skate wheel pallet flow racking is both durable and adaptable with custom mounting accessories and manufacturing attention to detail that sets us apart. Our high-performance, steel wheels are made to stand the durability test in all warehouse environments. The galvanized finish provides protection against rust and corrosion. They are usually specified for shallow depth lanes (2 to 5 deep) and are adaptable to all major manufacturers’ pallet racking. 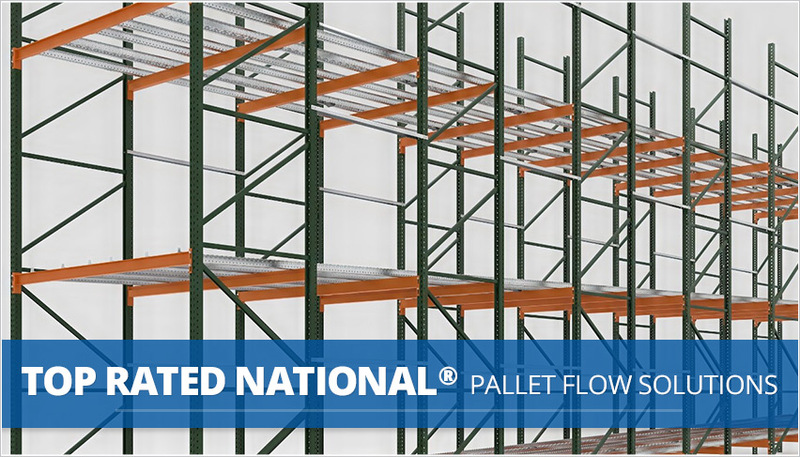 Our pallet flow is designed to ensure smooth, consistent flow from load-end to pick-side with both inline and staggered lanes options available to meet your inventory needs, pallet size, and weights up to 2000#. Mallard’s “floor-mounted” pallet racking designs help alleviate typical housekeeping issues, providing easy access for debris and dust removal. Skate wheel lanes are also ideal in pick modules, for both high-volume case selection as well as empty pallet return (EPR) lanes. Depending on your inventory specs and throughput goals Mallard offers customized pallet flow accessories that can be designed into or added to your system to achieve maximum effectiveness. They include our entry guides to assist forklift drivers in properly loading the system, speed controllers that maintain a controlled and consistent pallet tracking down lane, as well as our bolt-on ramp stops that safely and securely rest the pallet at the pickface. Check out our product spec sheets… or give us a call! A Mallard gravity flow specialist will be happy to review your storage and warehousing needs to see if skate wheel pallet flow is the just the right fit for your inventory and budget.